Will I need to bring my own bait and tackle? No. This will all be provided but it is optional to bring your own. No. Individuals are responsible for acquiring their own lodging accommodations near the area where they’d like to fish. Example: If you would like to fish Lake Miltona, find accommodations near Lake Miltona. We will meet at the designated landing on the date you have booked . What can I expect on a 1/2 day & Full day trip? We will meet at the designated landing, and cover some quick safety guidelines, and get you fitted with your PFD. Then we will discuss which species you wish to fish first. We will then launch into a fun filled day full of laughs and memories. Snacks & water are available in the boat but Feel free to bring your own lunches. As always you may bring your own snacks, but no alcohol is allowed. At days end, your guide will clean your fish free of charge at the boat landing. What can I expect on a Multi-Day Trip? The first day, we will meet at the designated landing, and cover some quick safety guidelines, and get you fitted with your PFD. We will discuss which species you wish to fish first. Then we will launch into a fun filled day. 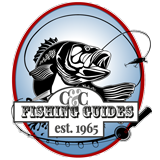 The 3+ day packages include a complimentary video of your fishing highlights. Snacks & water are available in the boat but feel free to bring your own lunches. As always you may bring your own snacks, but no alcohol is allowed. At days end your guide will clean your fish free of charge at the boat landing or back at camp. Yes, we do. By law guides are required to provide the PFD’s for people in the boat. Why do you limit the number of people? In order to provide a more personal experience while learning some fishing techniques to catch various species of fish. The more people in the boat, the more difficult it is to reel them in. Notice the pro fishing shows… they rarely fish more than two in the boat. We will fish rain or shine. If there is severe weather we will find shelter until the storm passes. Make sure to bring your own rain gear if inclement weather is forecast. All monies paid are non-refundable. However, should you need to cancel, we will reschedule you for another date. Yes, water and snacks will be available in the boat feel free to bring your own beverages and preferred snacks, however alcohol is not allowed in the boat for insurance reasons. Do you offer discounts for Veterans and Senior Citizens? Yes, we do. Chip is a 7 year military veteran himself and honors the military of the USA. Please contact us to get a special code for your discount. 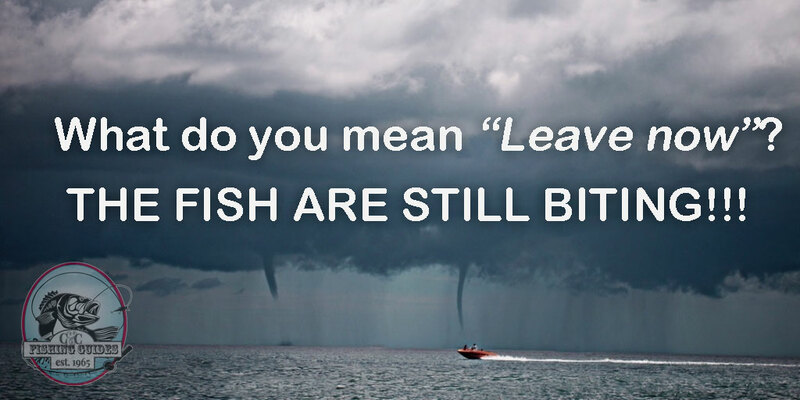 © C&C Fishing Guides. Customized by JackPine Design.